Have this beautiful Hanger online & illuminate the beauty of your house. 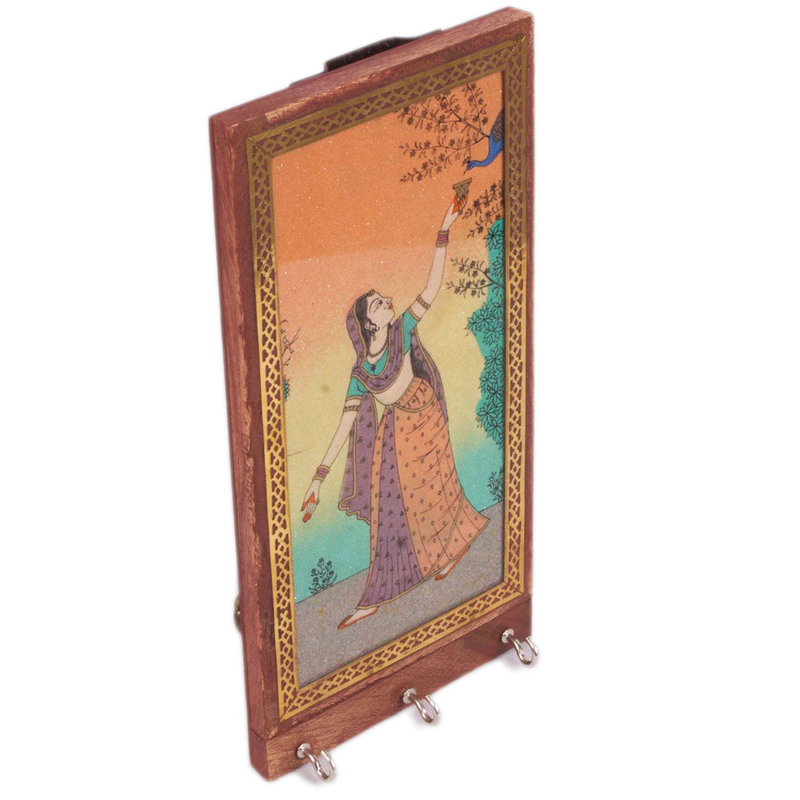 The fine painting depicts the rich heritage of Rajasthani Gharana & tells a beautiful story. 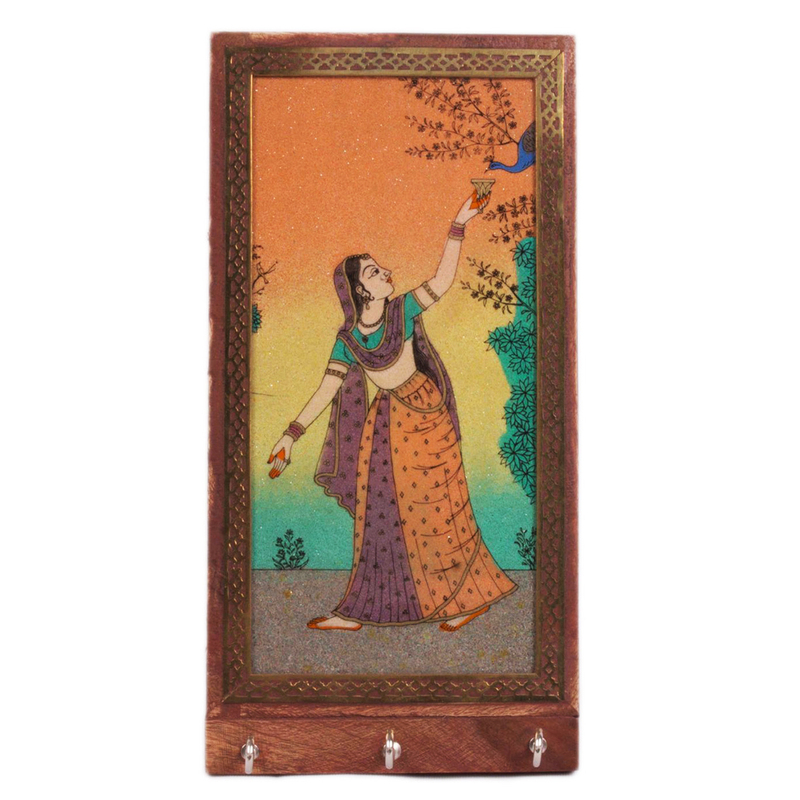 Hand painted Picture of a Rajasthani woman who is feeding a peacock with his hand is the centre theme of this wall hanging picture. Made Read More..of finest wood, this amazing artwork is what one would love to add in the archive of his home décor. The combo & splurge colors & the finishing of the painting will splash the feel of Majestic Aura & creates an Ambience of vintage Rajasthani Gharana in your home. It is a perfect piece to enhance the glamour of your house or office interior. Moreover, three hooks given on the frame aids you to hang keys. You can also gift this to your loved ones. Boontoon takes the privilege to serve this to all the paint lovers in a very affordable price. Show Less..